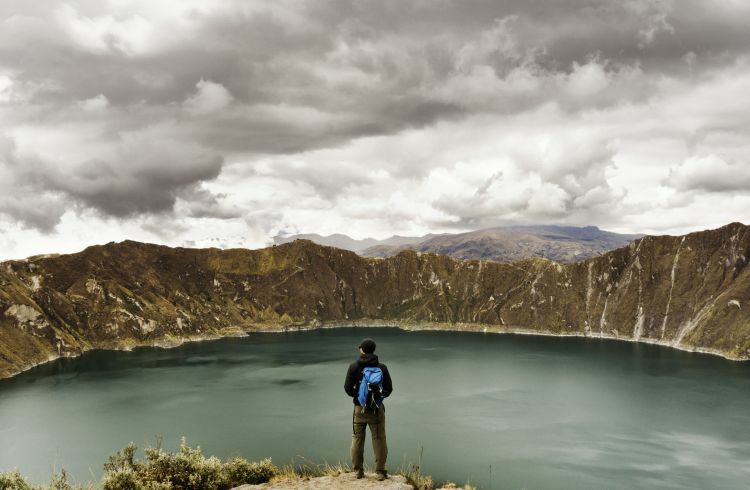 Altitude sickness, diarrhea and other problems can befall any traveler in Ecuador, but there are things you can do to stay healthy during your stay in this picturesque country. Travelers are advised to keep their routine vaccinations up to date. The following vaccinations are recommended for Ecuador: Typhoid, Hepatitis A, and Hepatitis B. You will also need a yellow fever vaccination which is effective for up to 10 years. The World Health Organisation lists Ecuador as a yellow fever endemic country (only present in some regions) so you will need proof of vaccination to get back into your own home country, if arriving from another yellow fever endemic country and also if you plan to travel onwards to other countries. Plan ahead by getting it at least two weeks before you depart. Pharmacies (farmacias) can be found in Ecuador, however, medical supplies can be limited (particularly if it's a specialized medication) so bring any medications you may need with you from home along with a doctor's letter outlining medication purpose, dosage and other necessary information. There are public and private medical facilities in Quito and Guayaquil, however, the private clinics and hospitals will require payment upfront before treatment, even for emergency treatment. Medical clinics are few and far between once you leave the urban centers of Ecuador. This disease is common to Latin America and can occur throughout the year – but is more prevalent during the wet season (January to September). Travelers should take precautions to prevent against mosquito bites by wearing suitable clothing and liberally applying a strong mosquito repellent. Symptoms of dengue fever usually begin seven to 10 days after being bitten and include high fever with aching joints and bones and a headache. If you develop these symptoms, you should seek medical treatment. Like dengue fever, malaria is also spread by mosquitos. Symptoms can include shivering, excessive sweating, headache, chills, and nausea. Quito, Guayaquil, Cuenca and the Galapagos Islands plus high altitude areas in the Andean valleys are malaria risk-free. However, if you plan to travel to the Amazonian provinces and the northwestern provinces of Esmeraldas and Carchi, you should take precautions to avoid contracting malaria. This also includes cruising on the Amazon River. You should consult your doctor or travel clinic about prophylaxis against malaria before leaving home. It's also wise to take other precautions such as wearing long and light sleeved shirts and pants, applying Deet repellant, sleeping under a mosquito night and avoiding being outdoors during dawn and dusk. Related to West Nile and Japanese Encephalitis, yellow fever is found in several parts of Amazonian Ecuador such as Zamora-Chinchipe, Orellana, Napo, Pastaza, Sucumbios, and Morona-Santiago. Travelers will need to get the yellow fever vaccine if they are planning to travel to these areas. If traveling to Quito, Guayaquil and the Galapagos, the vaccination is not required however it's recommended to take mosquito bite prevention measures regardless. Symptoms are flu-like including aching, headache, fever, vomiting etc. As these symptoms are similar to those of other conditions, it's imperative that you seek medical treatment so you can be treated correctly. Treatment is based on easing symptoms present. Zika virus is present in Ecuador and while there is no vaccination available for it, like any mosquito-borne disease it's essential to take the necessary precautions to prevent being bitten. The virus is spread by female yellow fever and tiger mosquitos which are generally found during the day between dawn and dusk. Also known as American Trypanosomiasis, the parasite Trypanosoma cruzi is spread via the feces or urine of the blood-sucking Triatomine or Kissing Bug once bitten. You can also become infected via the eyes, mouth or a wound. There have also been rare cases of infection via contaminated food and drink. The disease is common in rural areas esp. those with poor quality buildings made of mud, adobe or thatch. These dwellings provide the insects with an ideal habitat, hibernating during the day to come out at night to feed on sleeping humans and animals. Symptoms can vary from mild swelling, headache, fatigue, fever, and rash. However, in some people it can be long-lasting if left untreated, causing heart complications and digestive system issues. Preventative measures to avoid contracting Chagas disease are similar to preventing other mosquito-borne diseases. Avoid sleeping in mud, thatched and adobe style buildings where possible. Avoid drinking the local water and stick to drinking only boiled or treated water. Some accommodations in Ecuador provide their guests with purified water for refillable bottles. Steer clear of ice cubes, salads and other foodstuffs rinsed in water (as you don't know if it was safe water or not). Only consume fruit and vegetables you can peel yourself plus avoid any raw and undercooked food. Even the best-prepared traveler can fall foul of traveler’s diarrhea. Rarely serious, it’s just inconvenient and unpleasant. Poor hygiene practices, poor sanitation, and contaminated food and water are contributing factors to catching it. Caused by those bacterial nasties like E-Coli, Salmonella, Shigella and Campylobacter; symptoms include cramping, watery diarrhea, fever, vomiting, and abdominal pain. They tend to appear six to 72 hours after initial infection. If blood is present, then seek medical treatment immediately. Otherwise, it’s a case of riding it out. Drink plenty of water and electrolyte drinks. If you can’t find an electrolyte/sports drink, a pinch of salt and sugar in a glass of warm water will work too. Stick to dry foods like toast and crackers. Make sure you take time to rest and don’t overdo it. If it’s not getting better after a week, seek medical treatment as you may need antibiotics. Caused by Salmonella Typhi, typhoid is transmitted via contaminated food and water. Vaccination is strongly recommended before you travel and practicing good hygiene while you travel will help minimize the risk of becoming infected. Symptoms: The disease incubates over three to five days and the symptoms are similar to many other illnesses such as fever, headache, nausea, muscle ache, constipation or diarrhea, so it is wise to seek medical treatment immediately. Prolonged treatment can lead to serious complications such as internal bleeding, respiratory diseases such as pneumonia, delirium or even death. Vaccination is available and advised for travel to South American destinations. Symptoms: Nausea, fatigue, abdominal pain, jaundice, dehydration, fever and loss of appetite. Treatment: Hepatitis A is acute and generally clears up within a month or two. There is no specific treatment for Hepatitis A, so doctors will generally provide relief based on the symptoms and rest is advised. Isolation is important to not spread the illness. The Australian Department of Health states that Hepatitis A is contagious two weeks prior to symptoms first appearing to a week after they disappear. Many locations including the capital, Quito are at altitude in Ecuador. Altitude sickness is something travelers need to consider especially if they plan to further explore the highlands and other mountainous spots. The symptoms of this condition can cripple any traveler and in worse case scenarios, result in death but you can take precautions to lessen the effect as you ascend. Check out our article about altitude sickness and what you can do to avoid this illness. Ecuador is a land of firey volcanoes, lush rainforests and towering mountains. Check out our safety guide to all things thrills and adventure. Listen to this episode of the World Nomads Podcast on Ecuador and discover the strict rules for visiting the Galapagos Islands and the volcanoes that rival Mt Fuji. Ecuador may be a small place but it has a ton of different ecosystems and types of destinations. With all due respect to Greg Black, some of his conclusions are not entirely accurate, probably based on the fact that he did not visit every type of place there is to see in Ecuador (and for that matter, nor have I!). Bugs? Yes there are bugs. I don't remember encountering many at the beach and certainly none up in the mountainous Andes, but I got eaten ALIVE in the jungle near Santo Domingo and I'm sure it would be the same down by the Amazon. If you stay in the touristy areas, yes the bathrooms are clean. The more you venture from these places, the less clean you might find the bathrooms. I was in a bathroom in a small village that was filthy. But guess what? That's how things go for that community. It was REAL. Smooth, wide roads? Please. Yes, there are some, but this is not an accurate blanket statement. Just google imagine the phrase "Ecuador Roads". You'll see some smooth looking highways but you'll also see some crazy, cliff-hugging dirt roads that would scare you to walk down, let alone ride a bus through.